The transfer window may still be open in parts of Asia, but with the New Year holiday approaching in much of the continent, many deals have been done. ESPNFC takes a look at some of the most significant. Despite the wild stories of Marko Arnautovic leaving West Ham for an unnamed Chinese Super League club, this has been a relatively quiet window in China. The biggest move came late January with the Belgian star leaving Manchester for the industrial city of Jinan. 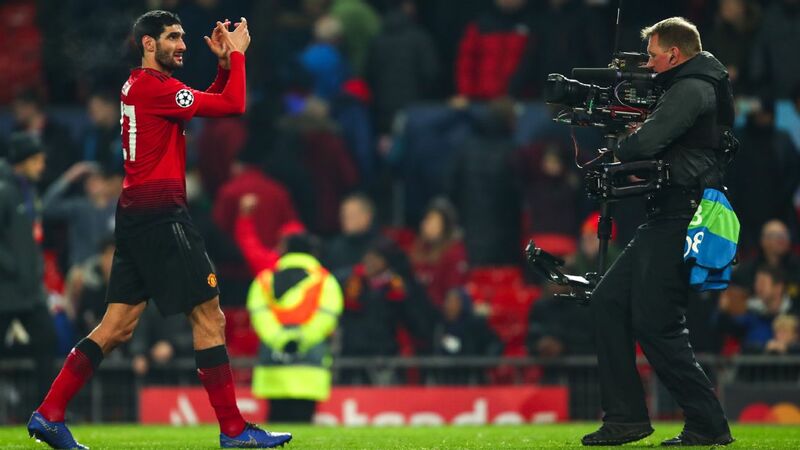 Fellaini could shine as the team looks for a first title since 2010. This transfer came out of the blue as many expected the newly established South Korean international to move to Germany, but instead he is MLS bound. Reports suggest that Vancouver paid close to $2 million for the 22 year-old, outbidding any European suitors. Hwang, creative and hard working, is set to be a central part of the Korean midfield for years to come. The Australia defender had an Asian Cup to forget in the end as it was his mistake that let in the United Arab Emirates to score and win the quarterfinal. The well-travelled 24-year-old has plenty going on to take his mind off that as during the tournament it was announced that he was moved back to Asia from Europe to sign for Saudi champs Al Hilal. Chinese fans have been waiting to see one of their own in one of the big leagues for some time now and Wu is the best player the country has. Still, the 2018 Chinese Super League top scorer will have to step up his game at Chinese-owned Espanyol, but if anyone can do it, Wu can. The teenage striker, already a full international, deserves credit for heading to Norway's second division to move out of his Singapore comfort zone. In doing so, Ikhsan can also move out of the shadow cast by his legendary father, Fandi Ahmad. The 30-year-old has already spent time in Malaysia with Negeri Sembilan, but signed for a much bigger team in Selangor. In between Regan was with Adelaide United in the A-League and continues a fine tradition of Australian centre-backs turning out for the Red Giants. A-League clubs have been criticised for not looking to Asia enough so this move is welcome. The 31-year-old has years of experience in Europe and went to the 2018 World Cup with Iran and it was his goals that played a major part in taking Team Melli to the 2014 edition. His direct running and composure in front of goal could make a difference over the rest of the A-League season. One of the best Malaysian players in the past decade, it will be strange to see the midfielder take the pitch against his old team Johor this year. Safiq led the Southern Tigers to new heights and at 31, there is still enough in the tank to do the same further along the coast. The former Juventus star is taking his goals, creativity and all round attacking ability from North America to the Middle East. According to his social media posts, the 32 year-old was reluctant to leave Canada but Toronto's loss is Al Hilal's gain as the former Italy international could be a star in Saudi Arabia. Signing the prolific Brazilian forward could be a real coup for Johor as they prepare for a first attempt in the AFC Champions League. Diogo scored for fun to the north and creates plenty too. One of Asia's brightest prospects was linked to English Premier League club Watford and no wonder as he has established himself in the middle of Korea's defence. In the end however "Monster," who missed the 2018 World Cup due to injury, moved across the Yellow Sea for a fee reported to be close to $8 million. Singapore to Mexico is not a well-worn transfer route and it was not one that Hougang intended to use this January. The month started with the club signing Ramazotti on the first day of the new year but 23 days later, the Brazilian striker was unveiled as a FC Juarez player halfway across the world. Hougang quickly terminated his contract.